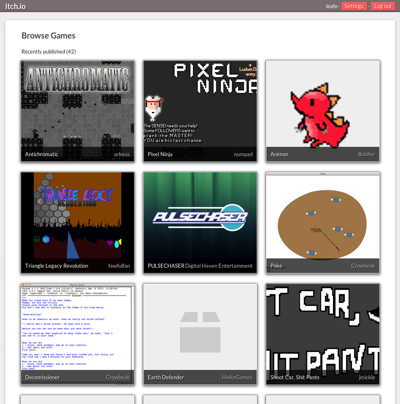 I slipped this feature out last week, but you can now browse games on itch.io. There aren’t many yet but it should give you an idea of what other people are doing and help for discovering new games. 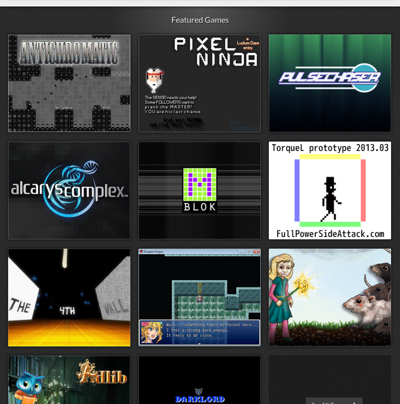 I’ve also added a featured games section on the homepage. I picked a few games that looked nice and featured them. I’ve you’ve got a game that you want featured you should tell me!